Anno 1701 (1701 A.D.) mixes strategy and city building together to create an economical focused experience. The game is part of the popular Anno series and is one of the fan favourites in the series. Gameplay is very similar to all the other games in the Anno series with a few new additions, with the most obvious change being the game setting. Players will start with their own unnamed country as they attempt to expand throughout the game world. Slowly as you advance and develop your civilisation the game mechanics open up to you, eventually allowing troops to invade and defeat your enemies. 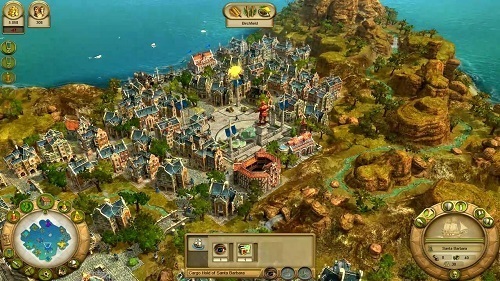 New features to Anno 1701 over previous games include trader quests, honoured guests, some level of tax control, natural disasters and a number of activities to assist you in dispatching of your enemies (spies to collect information, demagogues to encourage workers to strike, scientists capable of unleashing plagues and much more). As you play Anno 1701 your citizens will advance through 5 social stages. These stages increase the amount of taxes that you can receive from them but also greatly increases their needs. Your citizens will advance from simple Pioneers needing only food and their town centre into aristocrats wanting plenty of luxuries including perfume, lamp oils and much more. 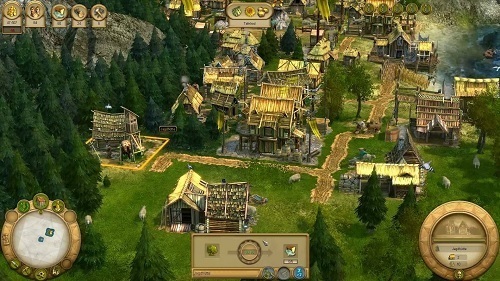 Managing your economy plays an important role during the early game stages with an emphasis on trading with the foreign cultures that are scattered throughout the game world. Each of these cultures has their own preferences for trading which requires careful management and consideration. As you do approach the later stages of the game you’ll find the combat pretty streamlined with little room for war strategy. The key to your success in Anno 1701 definitely lies within building up a solid economy. Anno 1701 (and the series in general) is different to most other strategy games but is still fun and deep enough for fans of the genre. One of the fan favourites from the Anno series. Plenty of new goods to trade. Take your citizens through 5 social stages. Trade with the inhabitants of the game world. Focus on economies and city creation rather than military objectives.